The Ateneo Art Gallery, Electrolychee and Five Ports Publishing invite you to a discussion on Jeepney art in the Philippines on March 21, 2015 (Saturday) at 3 pm in the Ateneo Art Gallery. 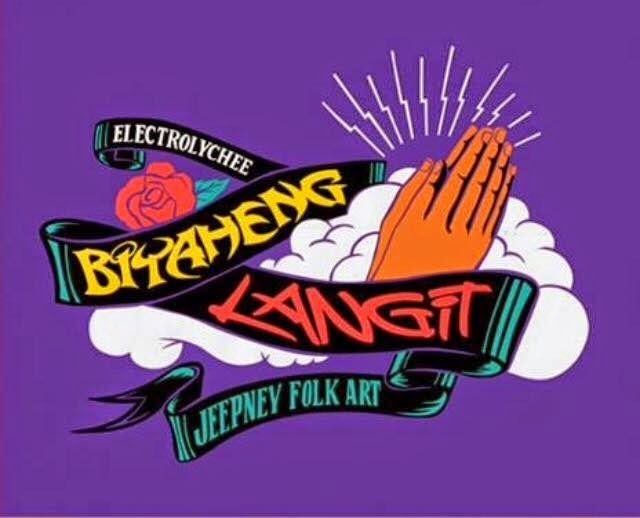 Taking off from the recently launched book by Electrolychee, Biyaheng Langit : Jeepney Folk Art, the discussion will revolve around the place of the jeepney in the Philippine urban infrastructure, the artworks found in the vehicles, their themes and how they relate to Philippine pop culture and folk religion. Speakers include Professor Emmanuel Torres, author of the book Jeepney published in 1979, Michael Pante of the Loyola Schools Department of History who has written on Manila’s Urban Transportation Systems of the American Period, Fr. Isidro Abano, Director of the University of Santo Tomas and religious art scholar and visual artist Mark Justiniani. There will also be a jeepney signmaker taking custom orders and making the works onsite. For more information please email ybuencamino@ateneo.edu or call (632) 4266488.